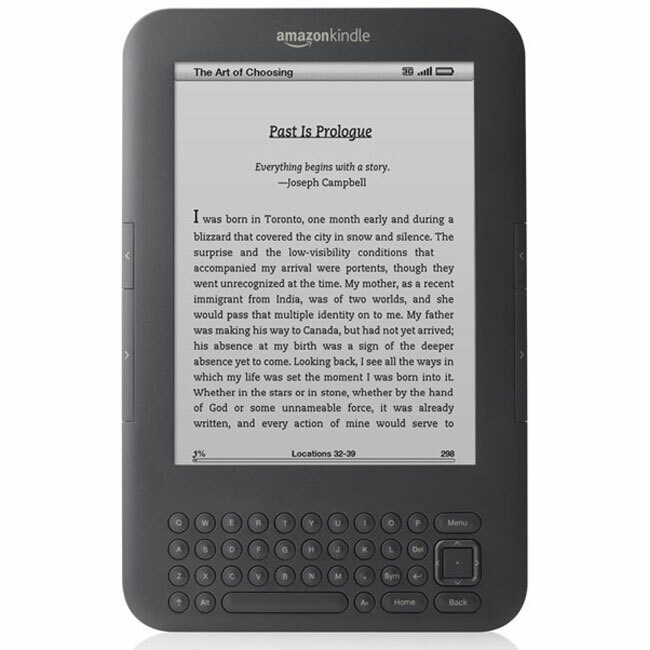 The other day, the Amazon Kindle was sold out on the Amazon homepage, which indicated that Amazon were about to launch a new version of their popular eReader, and right on cue, Amazon has announced the third generation Kindle eReader. The new Amazon Kindle is cheaper than the previous version, and there will be two models available, a WiFi only model which will retail for $139 and a 3G model which will retail for $189. The new Amazon Kindle is thinner and lighter than the previous model, 21 percent smaller and 15 percent lighter, it still comes with a 6 inch display which is reported to feature 50 percent better contrast. There is also now 4GB of built in storage, double that of the previous model, plus there is also a new experimental WebKit based browser. The new Amazon kindle will be available in the US and the UK from the 27th of August 2010.